Since last year I watched the ISS (International Space Station) fly over various time since reading a tweet about Spot the Station from the NASA. 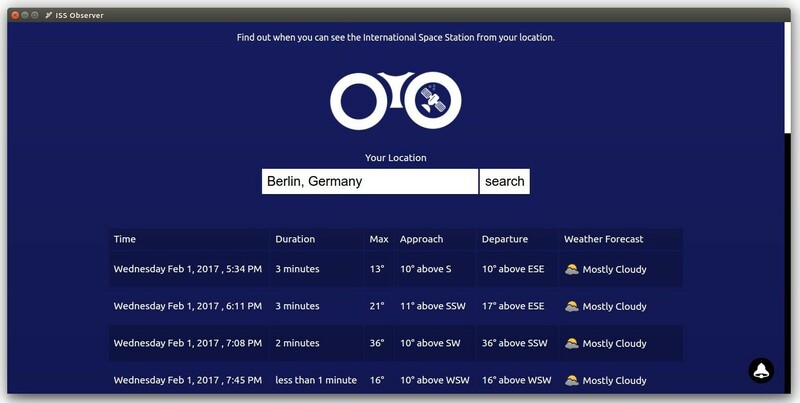 There, you can enter your location and find out when you can see the ISS. 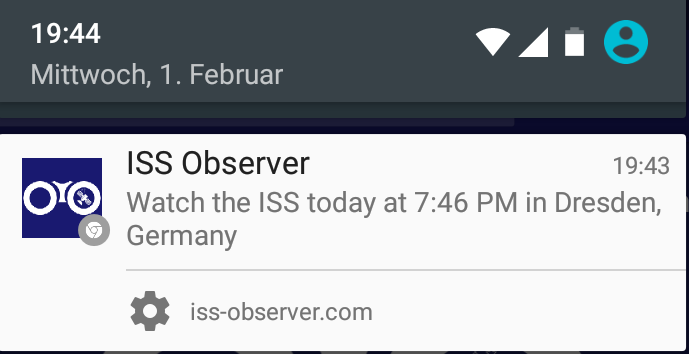 You can also set alerts, to get notified via Email/SMS when the ISS flies over your location. Mostly this works fine, but I found that they are also sending notifications if the weather is really bad and you actually can’t see it and also if you can see it only for a very short time period. Later that year, I learned more about Push Notifications and started building a web app where you can search for your location, get data about ISS sightings combined with weather information and being able to receive push notifications. I had a first version ready pretty quick, but hesitated to launch the site as I knew it is not perfect. I had to remind myself that a website is never done, there are always possible improvements and if I would wait for all the enhancements I have in my mind the site would probably never go public. 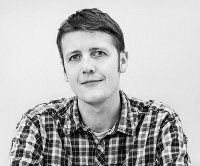 So, without further ado, let me introduce you to iss-observer.com. The main feature why I build the site is to be able to receive push notifications on my phone. On the technical site, I used the Web Push library for Node.js on the Back-end. This helped me a lot in implementing it. However, I also had some issues along the way, which I will write more about in a separate article. You can choose if you want to get notifications in the morning or/and evening and I tried to make clear that you will only receive a notification if the sky is clear enough to see it and if the time period is long enough. I tried my best to get a great performance and on the front-end I am doing pretty well. 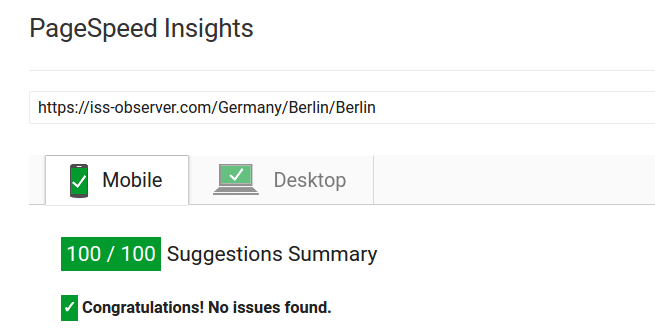 On PageSpeed Insights the site gets 100 out of 100 on mobile and desktop. Running the Lighthouse audit tool shows me 91 out of 100 possible points. The main reason why I don’t get 100 points is that the server-side can be pretty slow. When you search for a location I need to get the live data from the NASA as well as the weather information and unfortunately this can take some time until I get all the data. I am still looking for a way to improve this though. If you find any issues or want a new feature or enhancement added please write me an Email, send me a tweet or file an issue on Github. Thanks! I have already various enhancements planned and I am currently working on something which may or may not involve Augmented Reality. Stay tuned.